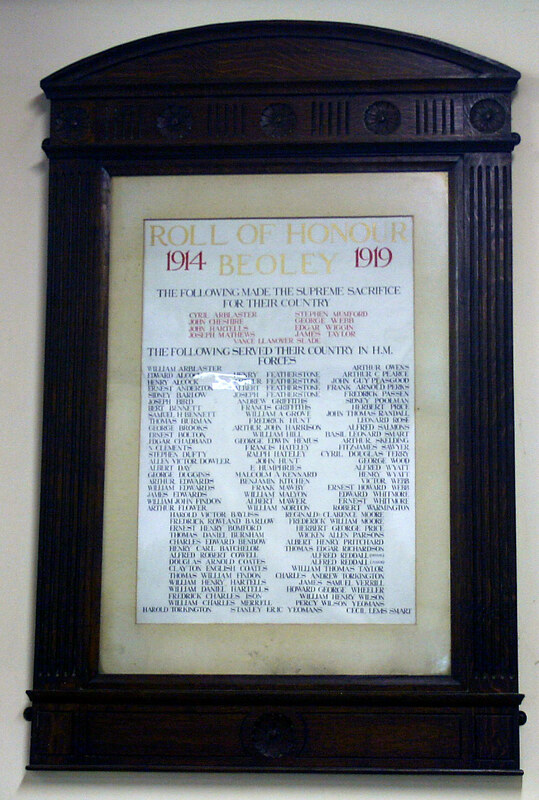 www.beoley.org.uk At the centre of the Beoley community. 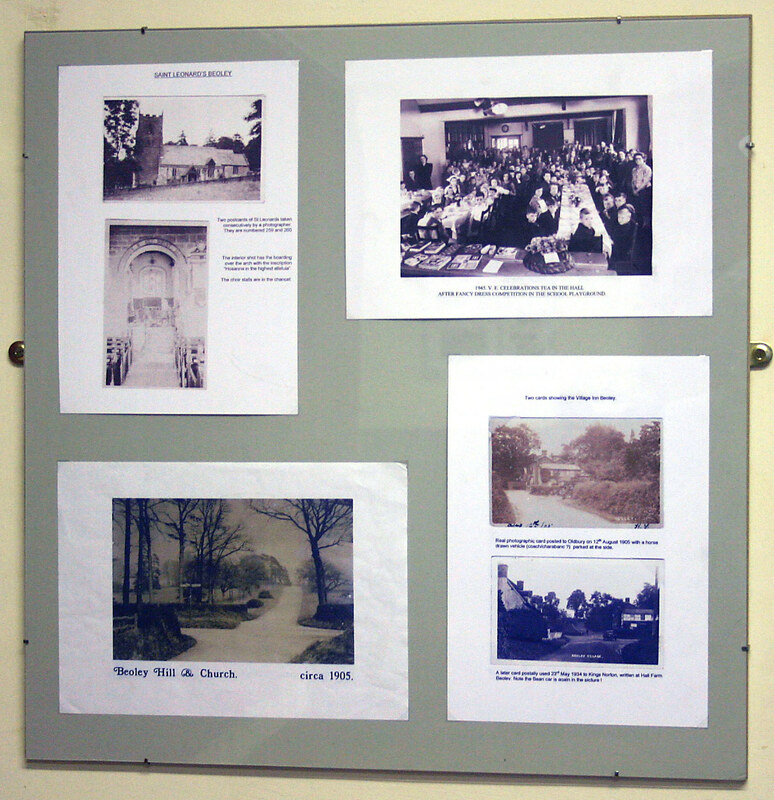 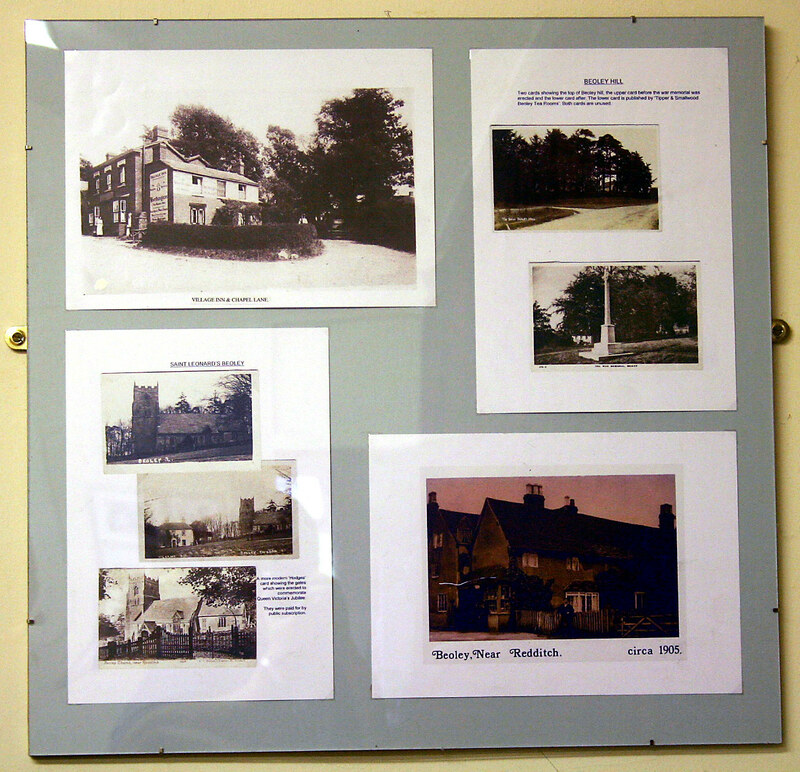 On the right are five framed displays of old photographs and postcards of Beoley, covering some of the history of the Village and the Village Hall from around 1905. 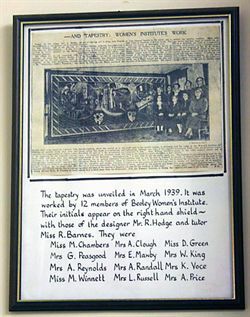 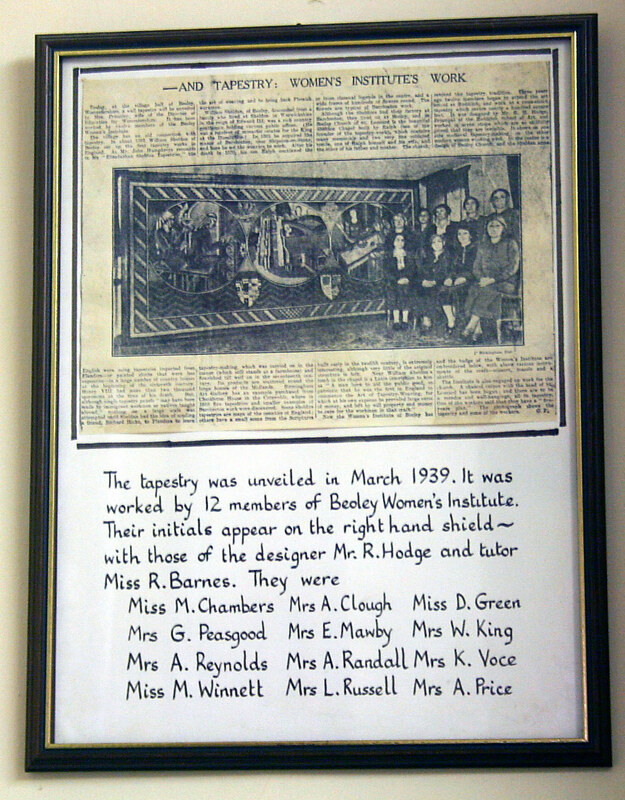 Lower down is a photo of the Tapestry completed by the Beoley Women's Institute in March 1939, with a framed newspaper cutting about it - and a list of the ladies who worked on the tapestry. 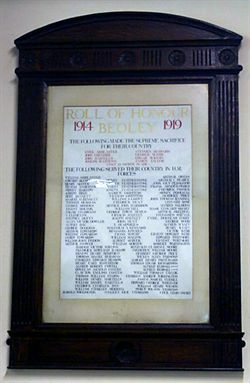 Finally, there is a picture of the framed Roll of Honour of those Beoley residents who served and were lost in the First World War. 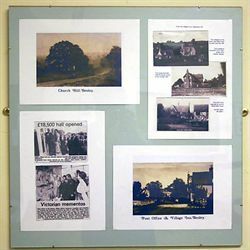 Click on any image to open an enlarged version in a new window. 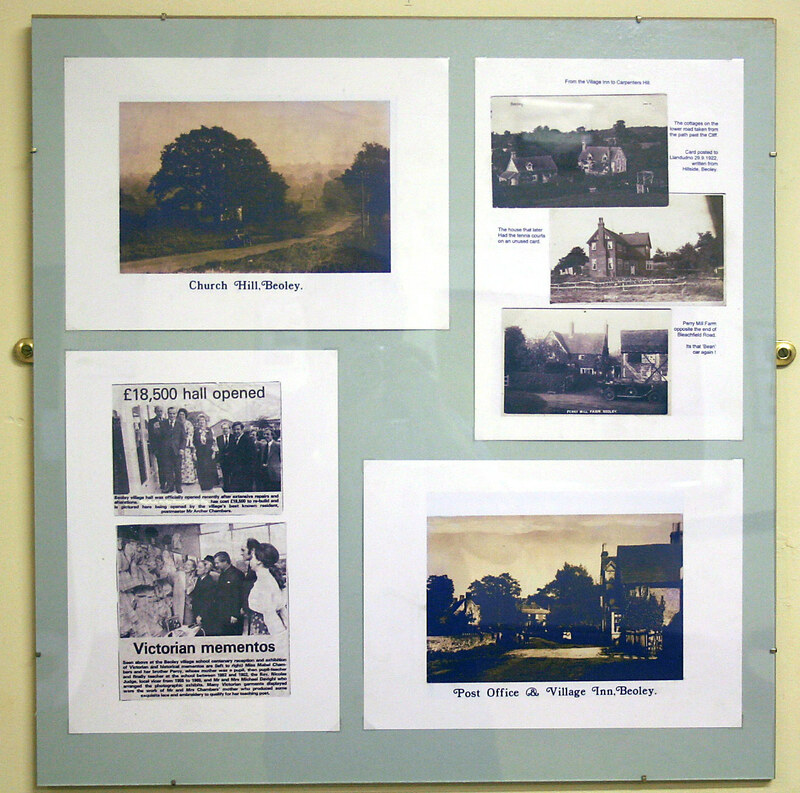 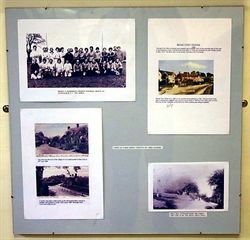 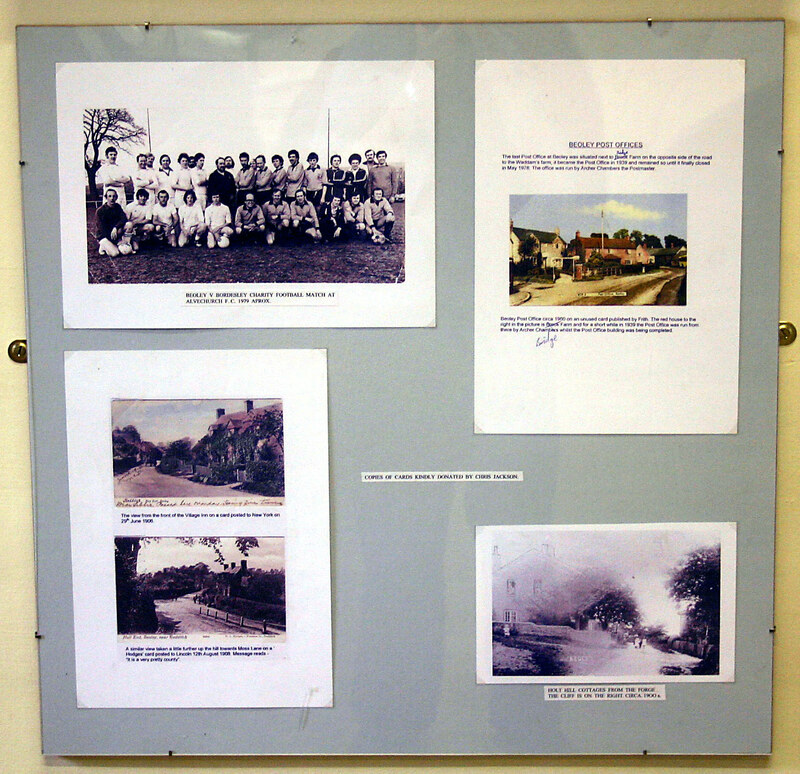 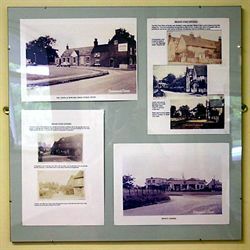 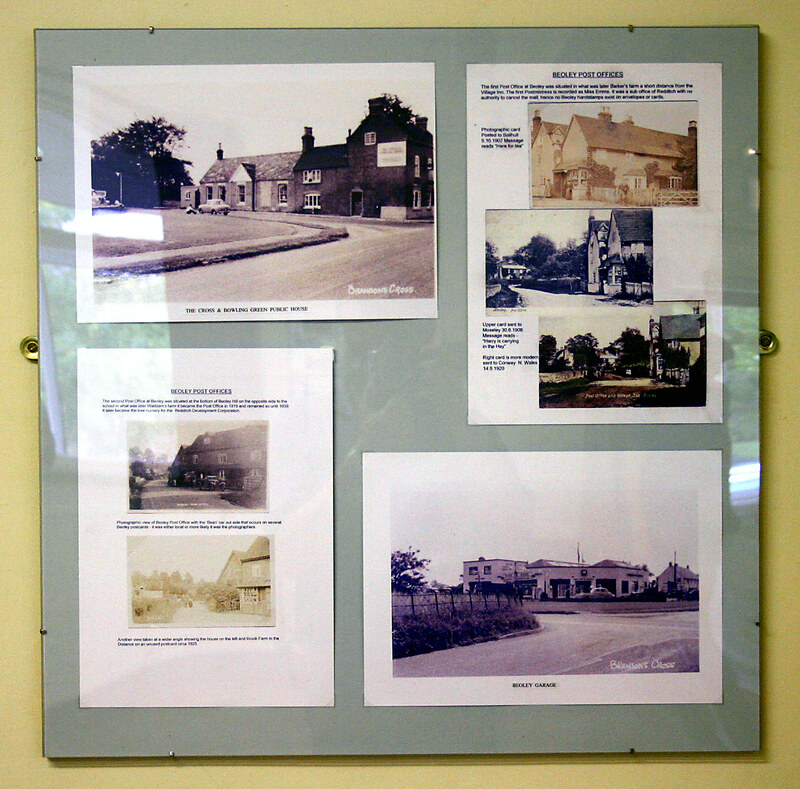 To celebrate the first 100 years of the Village Hall, a pictorial display of historical photographs and postcards was assembled and framed. Positioned around the Hall, they tell the story of the development of Beoley in a period of great change - two World Wars and the change from horse-drawn transport to cars.